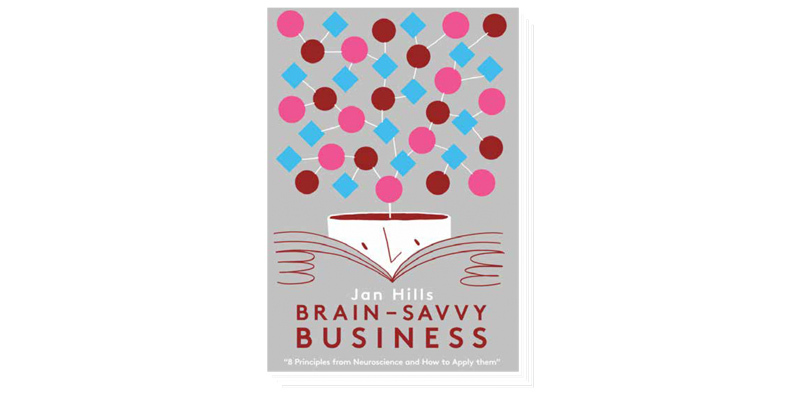 Our third book in the brain-savvy series show you how to apply the neuroscience findings to business . As business leaders we spend a lot of time carefully constructing a strategy and the policies and plans to execute it. But when we look at the data we are not being as effective as we could be. Businesses still have unengaged employees, productivity gaps and poor leaders. People keep doing what they always have done even though the strategy has changed and leaders seem at a loose to mobilise people’s energy and enthusiasm. There are a few companies that do these things better than others but few that have a sound bases on which to lead their efforts. This book takes a new and different approach. A brain-savvy approach. The latest findings from neuroscience show us how to work with how brains have developed to better lead, harness energy and create organisations that work with our brains not against their natural functioning. The book lays out a number of principles gleaned from neuroscience and other behavioural sciences and shows via practical examples of the science application how businesses and leaders can improve what they do and how they do it. Case studies illustrate what other companies have done an each section includes tools to apply the science in everyday business. You could dip in and out of this book, though I think you’ll more likely be hooked from cover to cover as Jan serves up the latest neuroscience to explain why people behave the way they do. Providing more than just fascinating insight, the brain-savvy tools set out in the context of common workplace challenges make this an indispensable field guide for the modern leader. Neuroscience is increasing our understanding of how people really do learn, what drives our decision making, and the relationship between the emotional and the rational brain. Brain-savvy Business brings it in to the realm of the practical and pragmatic, giving us actionable insights to help develop our people and our leaders to create lasting change, and to drive better and more sustainable businesses for the future. All businesses are looking for a competitive edge. They must be looking to obtain the best from their people and improve the relationships they have with their clients. This is particularly true of the legal profession who are often accused of being too slow to embrace change and innovation. This is a fascinating insight into how an understanding of neuroscience can give you an edge, as by understanding the science we can challenge the more traditional ways in which we have managed our people and client relationships. The neuroscience is cleverly backed up by practical application with insightful and very business relevant case studies with the chapters addressing areas such as adapting the mind-set of your people to be high achievers and how we connect and engage with clients to build a lasting relationships so that they stay loyal to you, being incredibly relevant to any one in business service sector. This book is thought-provoking and insightful – I have already used its principles in discussing leadership development with our partners. The case studies provide really valuable examples of how the science has been applied by others.‎ A great tool to have. This Breakfast Club webinar looks at what neuroscience can tell us about more effective interviews.